vwvibe.com | For the VDub State of Mind! 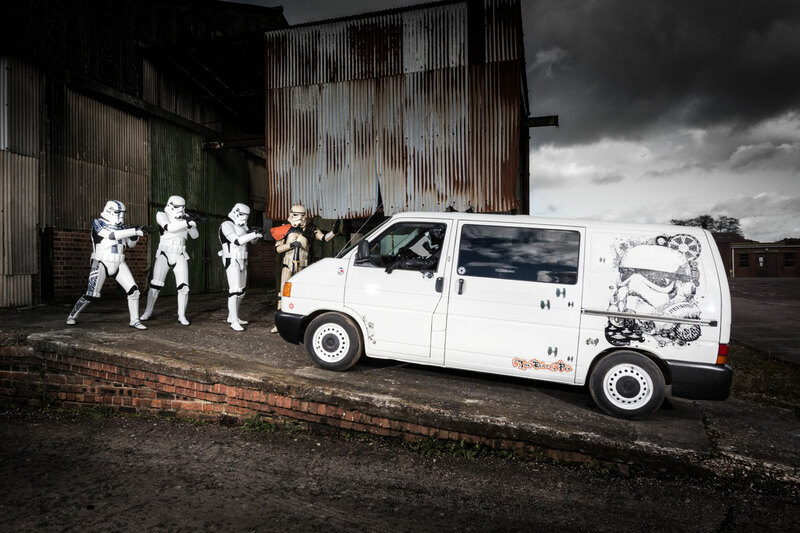 As we arrived at the shoot location, everything was friendly and jovial, Clive, one of the Stormtroopers and owner of the feature vehicle, had kindly provided bacon butties and coffees, and one by one various people pulled up, as Dave the photographer got his gear set up and the boys from Definitive likewise prepared their video rig. 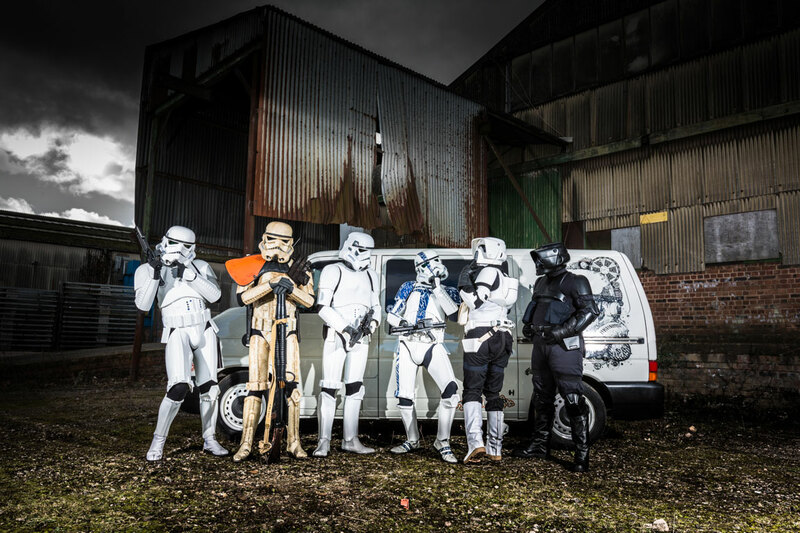 The six friendly local guys joining us vanished and in their place, six very serious looking Star Wars baddies marched purposefully towards us… an experience both thrilling and somewhat unnerving to be perfectly honest! 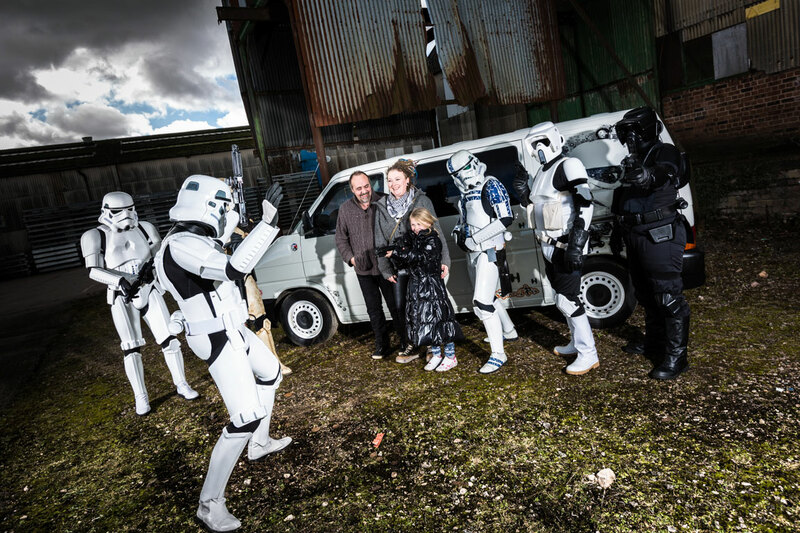 Ever since science fiction’s greatest film dynasty first hit the screens in the 1970’s generations have developed a built in fear response to the image of the sterile white armour and vacant emotionless staring other worldly skull of the Stormtrooper helmet and the various Imperial bad guy derivatives. Like the instinct to dive behind the sofa at the sound of Doctor Who music… we all have something in our collective psyche that an image of either a big spider scuttling across the sitting room floor, or the white silhouette of a Stormtrooper moving straight towards you, sets the heart beating a bit faster as you try and counter the human ‘fight or flight’ response that it can’t really hurt you… can it? Try looking one of these guys directly in the eyepieces and hold a normal conversation, whilst desperately telling yourself that it’s really just your mate behind that creepy façade… I tell you, easier said than done… you literally find yourself adopting that pseudo respectful deference normally reserved for awkward discussions with Policemen or Headmasters… just in case! 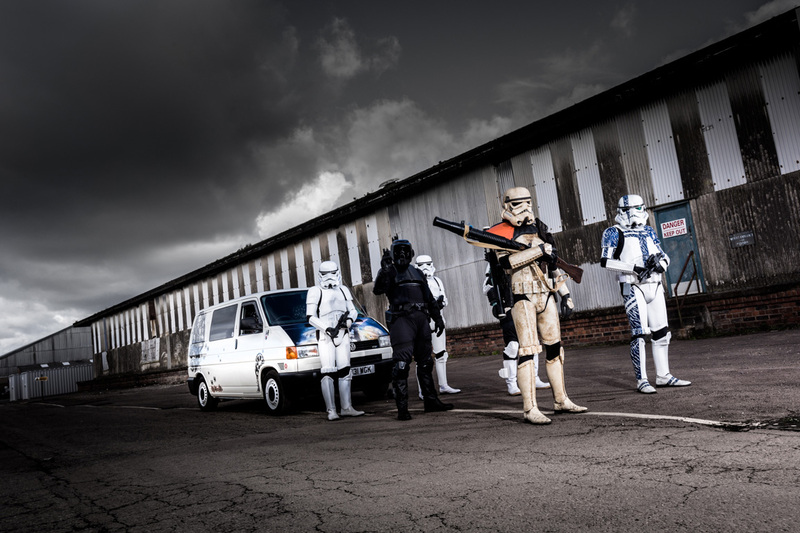 With everyone ready, the Troopers worked hard enacting the various routines for David’s busy camera; as the day drew on I noticed the guys were in full proper character… they really were a scout group sent to this strange rebel out-world on a mission from Lord Vader himself to intercept and retrieve their precious Troop Transport – the marching and the raised blasters all became a bit too conceiving at times, such as when one of the locals drove round the corner en route to her work-place to be confronted by six of the Imperial Alliance’s naughtiest boys, weapons drawn… her face was a picture and nobody needed to be a lip reader to clearly make out the Latin dialog being uttered from her mouth! Like we say, being in the presence of these bad guys can be a little disturbing, and yet when they broke the seriousness by lining up chorus-line style and broke out into a rendition of the Muppets Me Na Me Na (a Trooper favourite apparently)… well, then it just got plain weird… and hilarious… they were just dudes beneath those intimidating ‘lids’ after-all… I was almost disappointed… but mainly relieved! 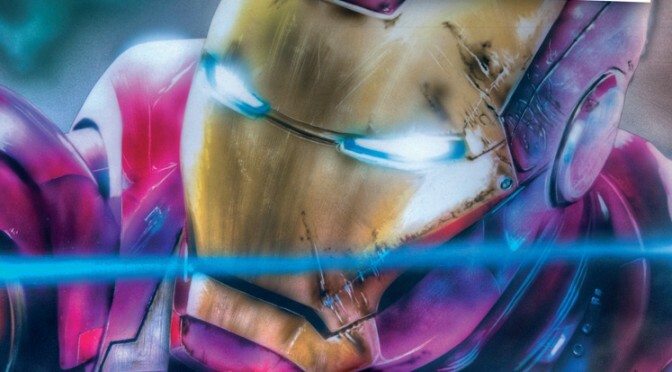 ORIGINAL ARTWORK: A quick shout out also to the two artists who brought the T4 to life. 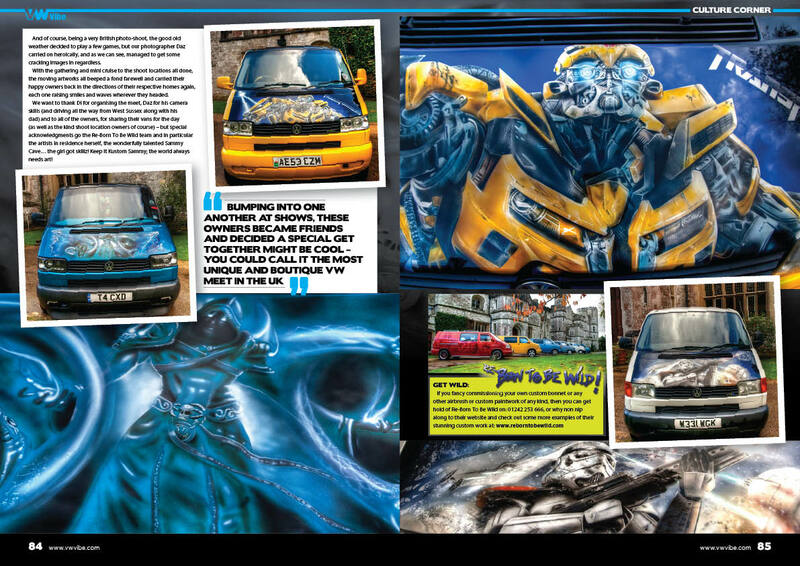 For the incredible lifelike airbrush work on ‘that’ bonnet; the lady Sammy Cave (Kustom Sammy) of Re-Born To Be Wild (www.reborntobewild.com) and for mind-blowing marker pen magic on the side panels, Mr Russ Hyter-Smith esquire, a.k.a The Dirty Pen (www.facebook.com/pages/The-Dirty-Pen/362849360470079)… top drawer work guys! 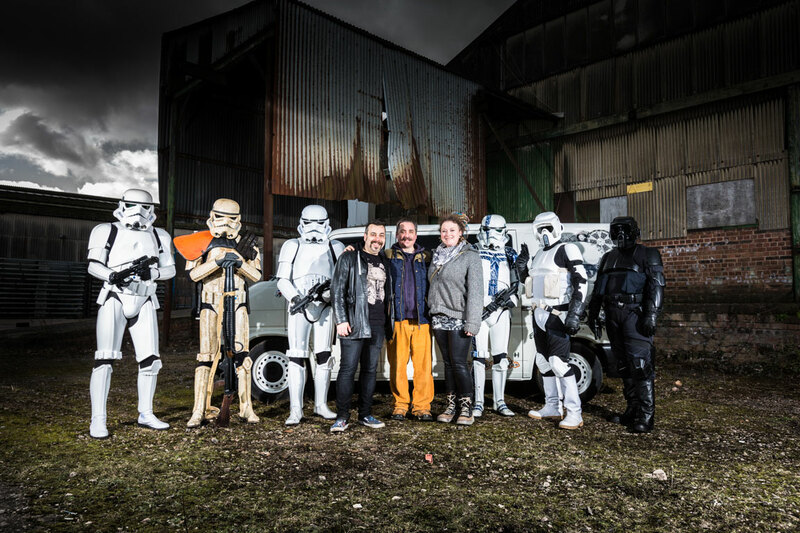 THE CAST: Finally, special thanks to T4 Trooper Transporter, Clive Barzillia, a.k.a TK73511 Stormtrooper and the other armor-clad lovable bad guys (Shiny Shaun, Dirty Darren, Boss Man Robert, Biker Boy Andrew and Dark Side Peter), all from the South Wales Troopers battalion, for making the most fun and cool shoot yet. 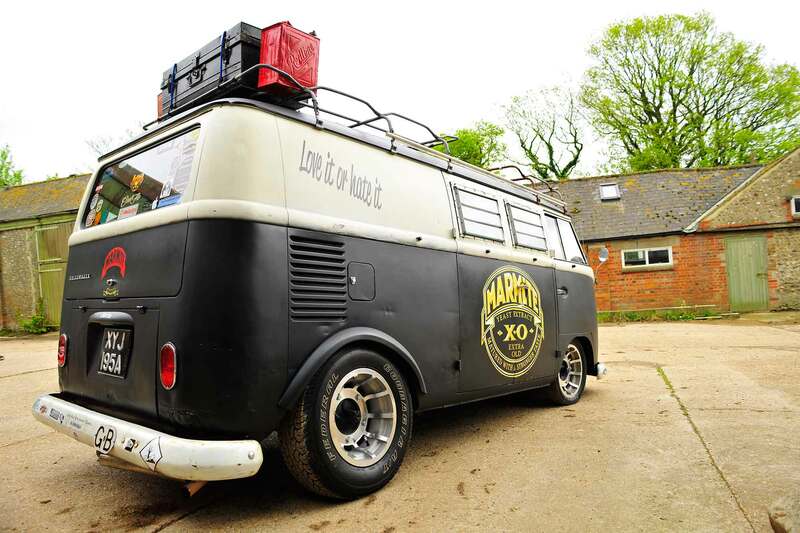 Some people might think hacking the rear arches out of a Splitty and fitting hoofing great American muscle car wheels is sacrilege… other won’t be able to get enough of this bus. 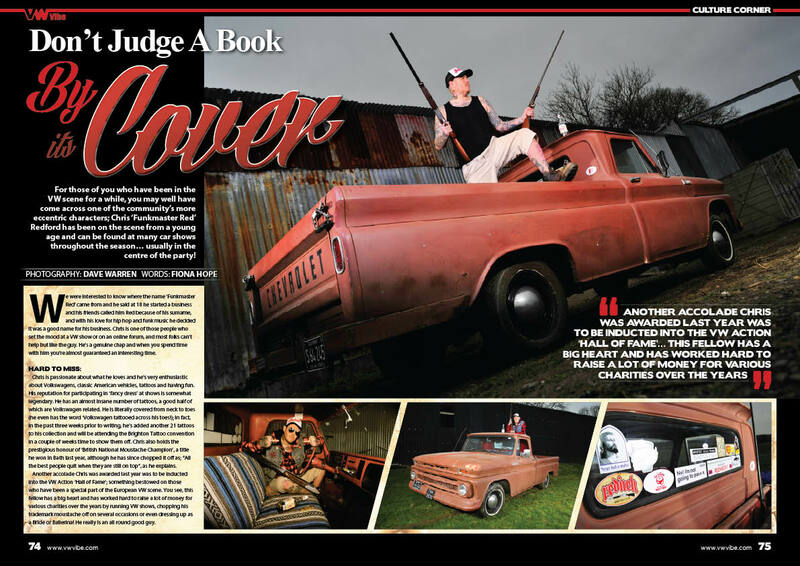 But love it or hate it… you can’t ignore it! 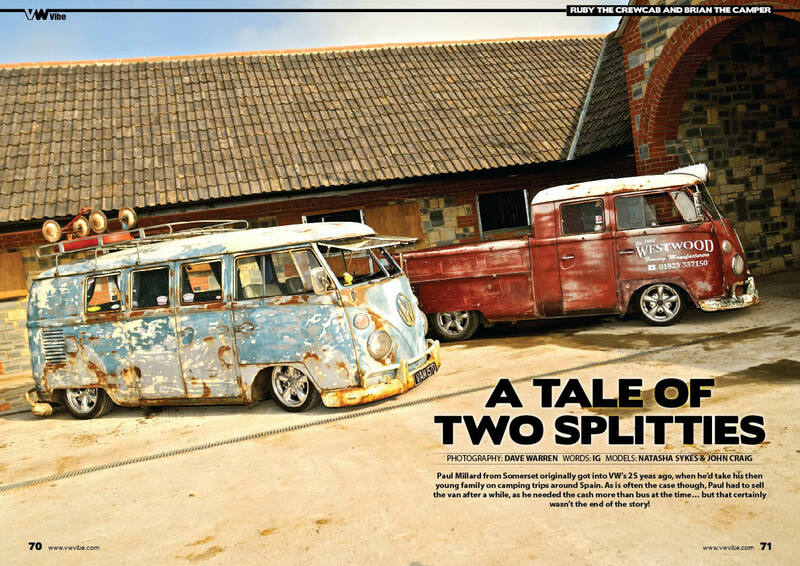 But like every old VW, this split-personality Splitty, has a story. up era, hiding in a quiet corner of a junkyard in San Francisco… The bus left the factory in 1963, complete with factory option divided ‘walkthrough’ bulkhead (code ‘080’ for the anoraks), painted L31 Dove Blue. 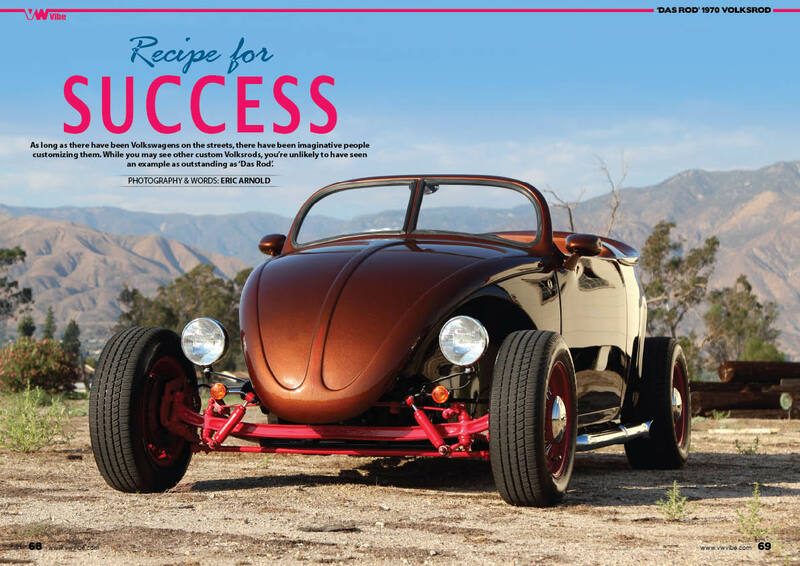 But at some point, it was rattle-canned matt black and off-white; this enterprising paintjob, covering a peppering of dents and dings. 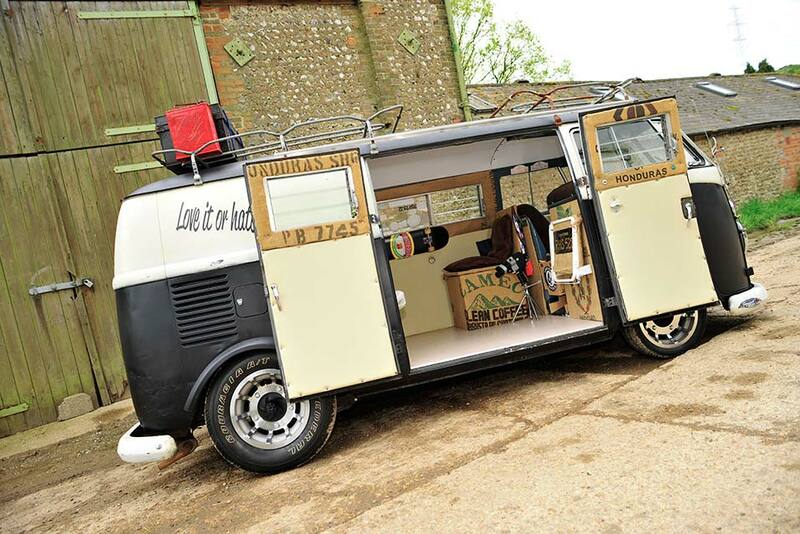 But the guerrilla modifications didn’t stop there! 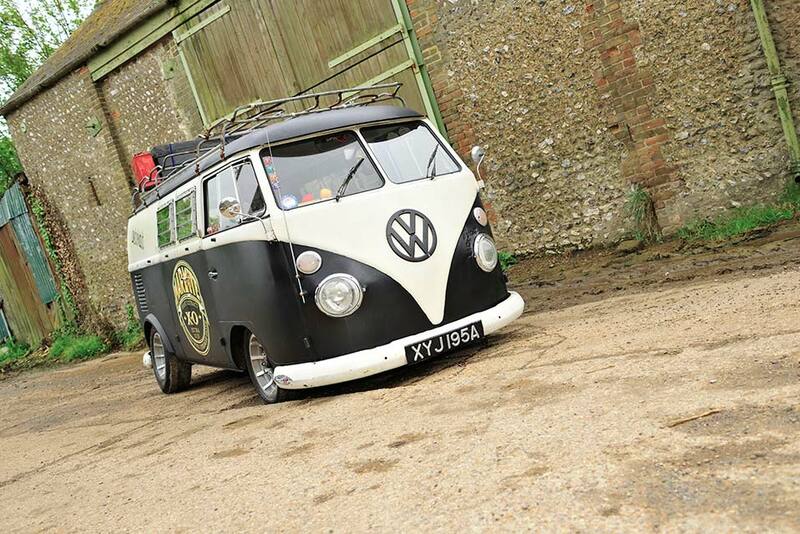 At some point, doubtlessly during the crazy ‘keep on trucking’ hippy van days of the 60’s/70’s, someone got serious with the secateurs and lopped the rear arches out, to accommodate something beefier on the back axle. Think high end airbrushing and custom paint, and the UK might not immediately spring to mind as the world leader compared to our car culture lead American cousins. 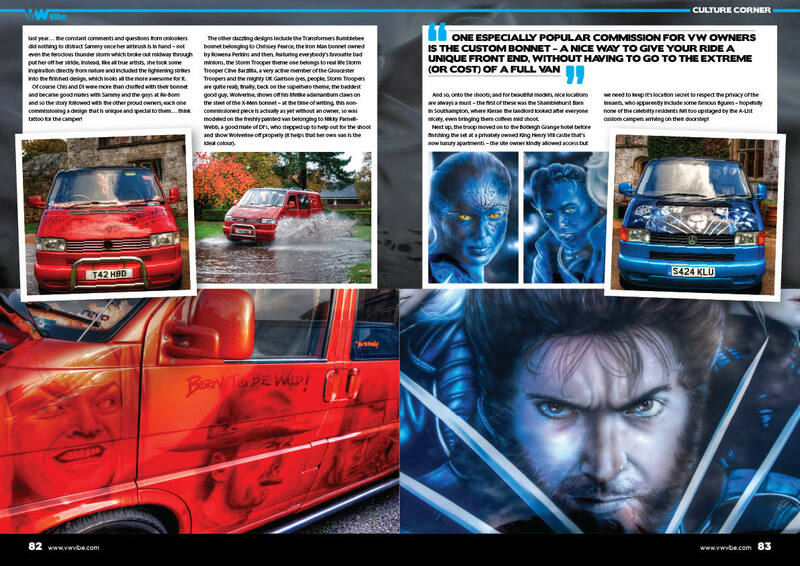 So what if we told you one of the world’s top airbrush and paint talents is based right here in Blighty? 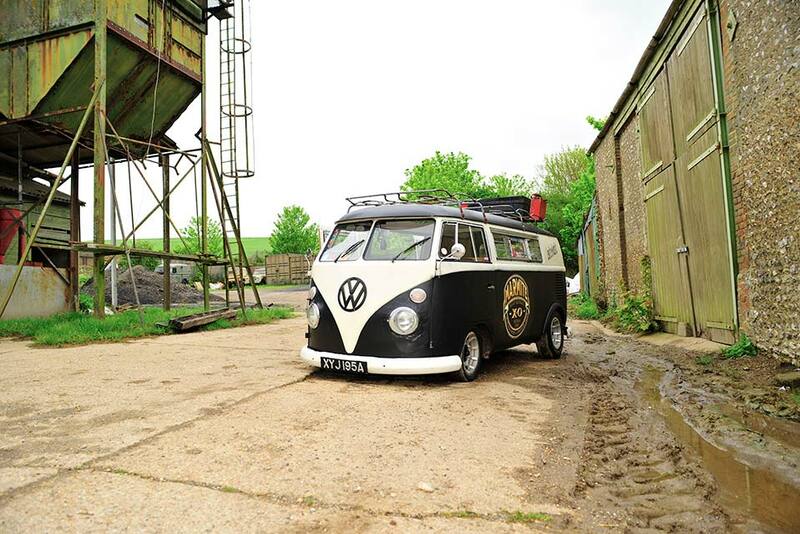 In the heart of the Cotswolds no less! Shot of tequila with your tea Vicar? 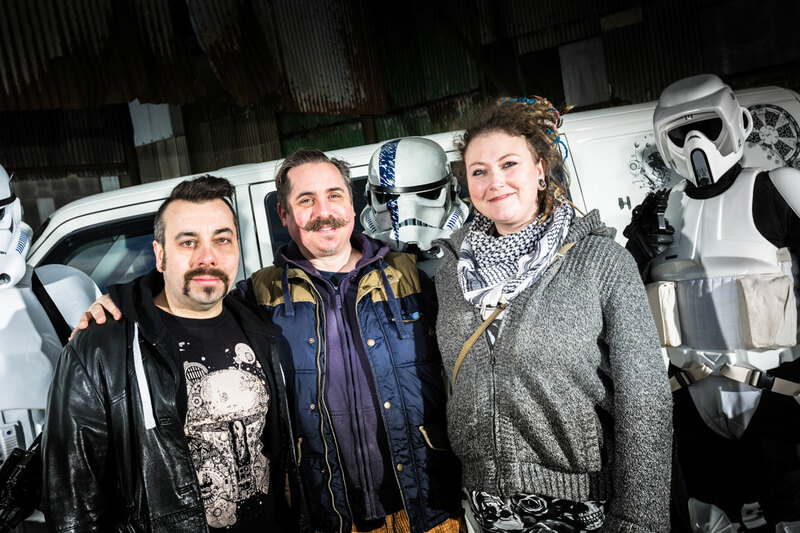 We are talking of course about the inimitable Sammy And then, a few years ago, something interested and even a little Cave, a.k.a Kustom Sammy; a self-taught freehand airbrush artists of the highest level. 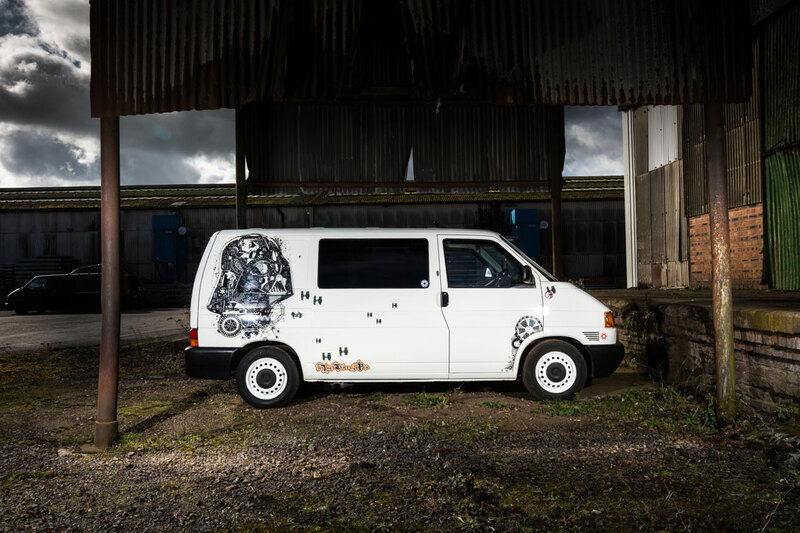 But Sammy herself is only half the story, as she is based at Re-Born To Be Wild in Cheltenham alongside original company founder and fellow perfectionist of paint precision, John Tooze. 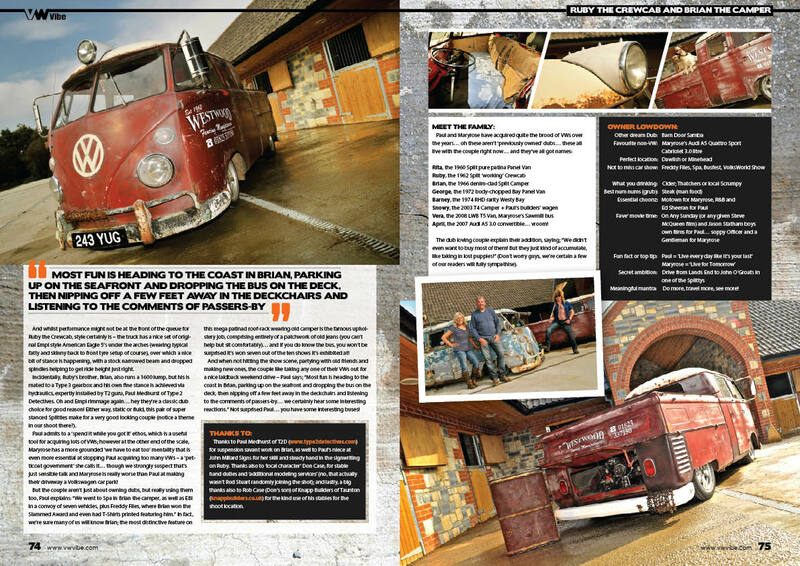 Commencing life as the UK’s first and only specialist motorcycle custom paint and repair centre, John, later joined by Sammy, built up a reputation over the years as the go-to-guys in the custom motor cycle scene, having bikes they’ve built regularly featured in international custom and chopper bike press. 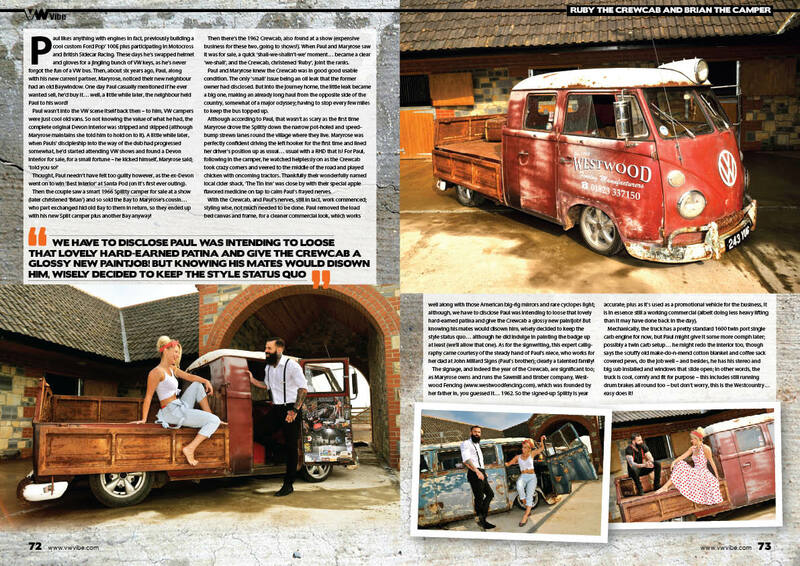 Of course a close relation of the custom bike scene is the hot rod scene and they soon made their mark here too – in fact when quintessentially British handmade motor marque, Morgan wanted to give their iconic ‘Three Wheeler’ a media boost, Re-Born To Be Wild were the natural choice for a hot-rod/chopper bike hybrid inspired Grim Reaper theme, complete with blue on blue ‘real flame’ job and chrome skull headlights… needless to say it went down a storm. 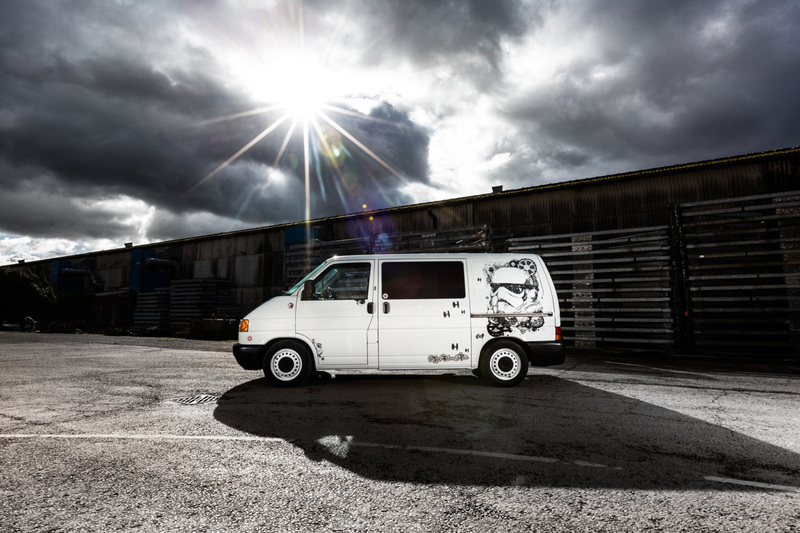 And then, a few years ago, something interesting and even a little unexpected happened – the Re-Born team decided to spruce up the old work van (used for hauling stuff to motorcycle shows and transporting client’s rides). 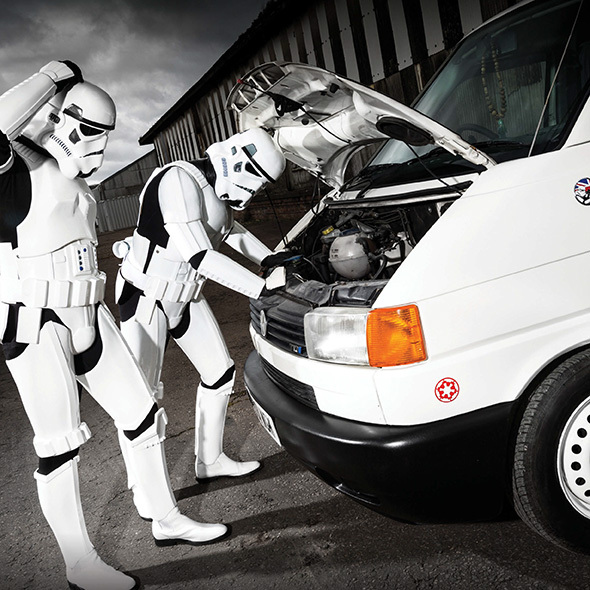 The van happened to be a T4. 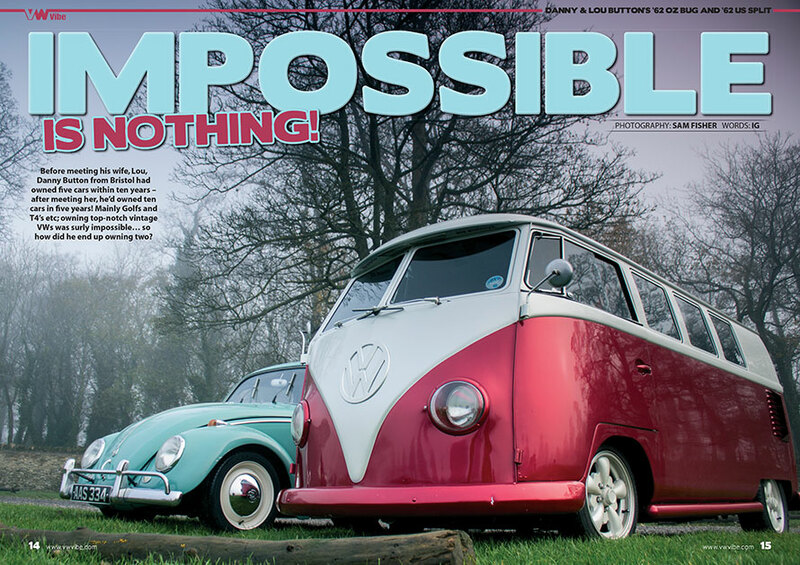 Sammy adorned it with a stars of the silver screen airbrush theme, which was then lacquered in candy apple red with the smooth as glass perfection the company have become known for. 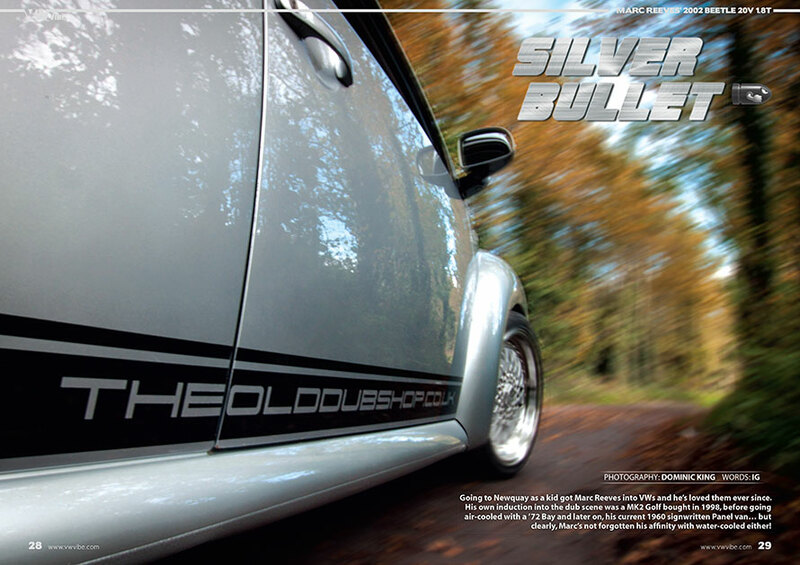 Needless to say, this perfect rolling advert for their work quickly pinged on the radar of the VW scene and before they knew it, the crew were ‘Re-Born again’ into a whole new fraternity as V-dubbers quickly started queuing with the bikers and hot-rodders. 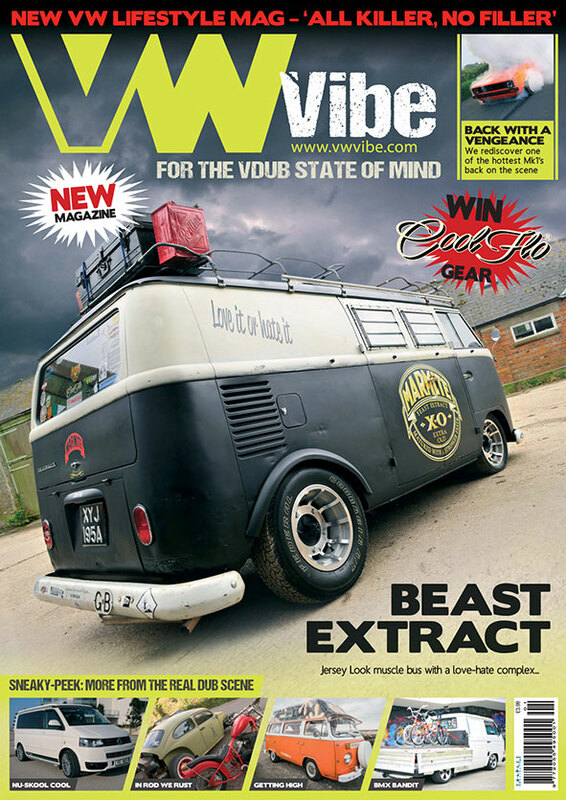 One especially popular commission for VW owners is the custom bonnet – a nice way to give your ride a unique front end, without having to go to the extreme (or cost) of a full van – and the T4’s and T5’s seem to be leading the way in this trend. 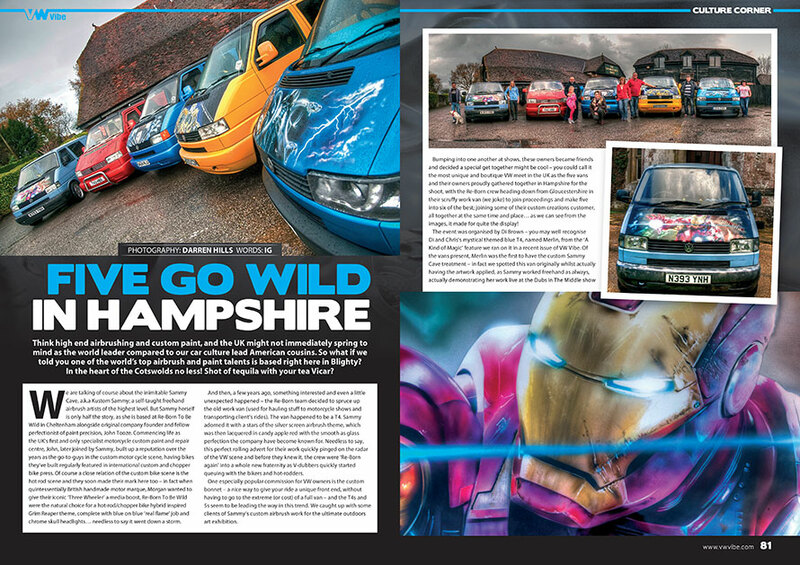 We caught up with some clients of Sammy’s custom airbrush work for the ultimate outdoors art exhibition. 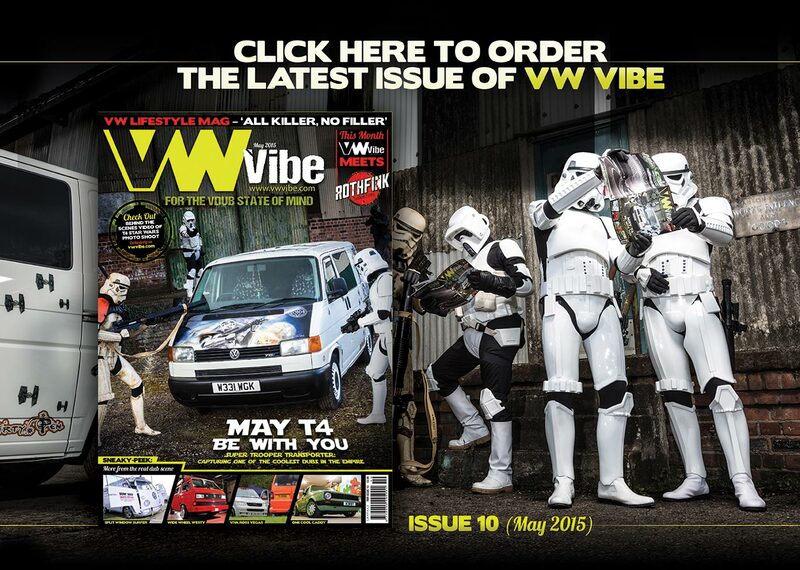 Yes… all readers of VW Vibe can enter the competition to win their very own Stormtrooper Helmet… this is a top quality one-off ‘lid’ – not commercially available anywhere! 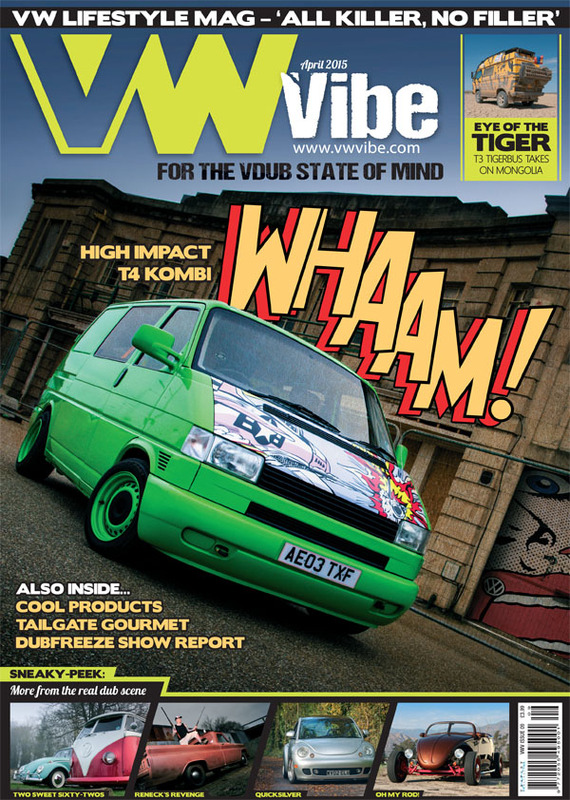 Clive Barzillia (the owner of the T4 Trooper Transporter in VW Vibe issue 10), has been raising money and awareness with the Yellow Trooper armor in aid of The Children’s Liver Disease Foundation (www.childliverdisease.org), hence the one-off colour. And this epic prize giveaway is in aid of the important charity, Yellow Alert (www.yellowalert.org); a vital organisation dedicated to detecting and treating the signs and symptoms of liver disease in newborn babies. 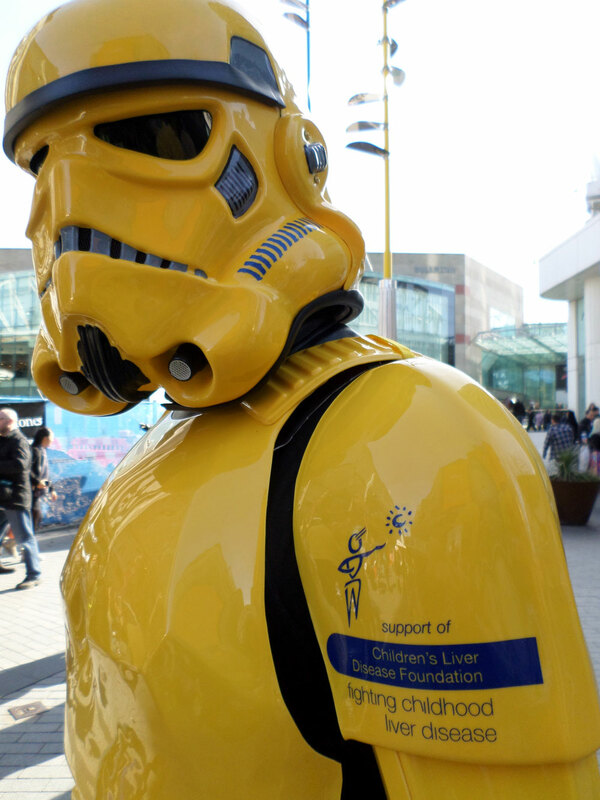 To enter, just Text: YELL66 followed by £ and the amount you wish to donate to 70070 (example: YELL £5) and your name is in the hat… or ‘helmet’ even! Good luck all! 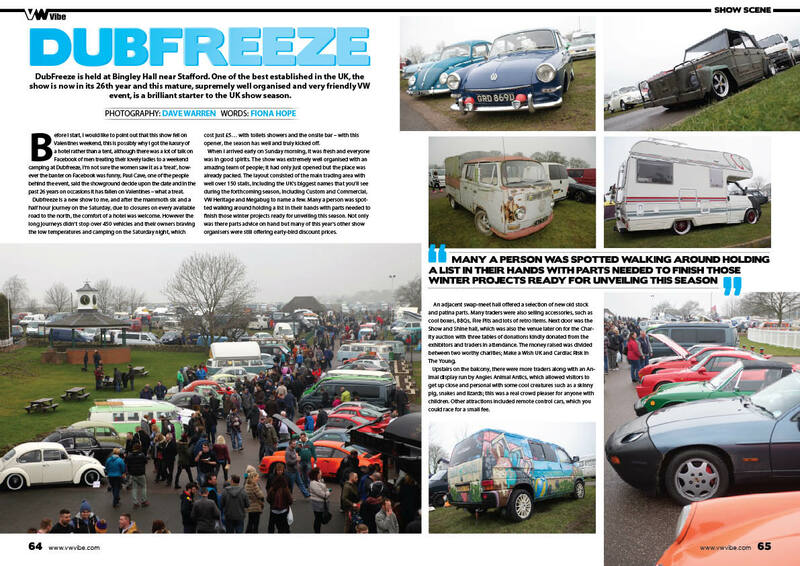 Well things are definitely beginning to thaw out now, and to get you thoroughly in the camping and show scene mood, we look back over three shows from last season, from the Southwest to Wales and over to Kent, before heading in a northerly direction to the official UK season opener in Staffs, and find a very warm reception at Dubfreeze. 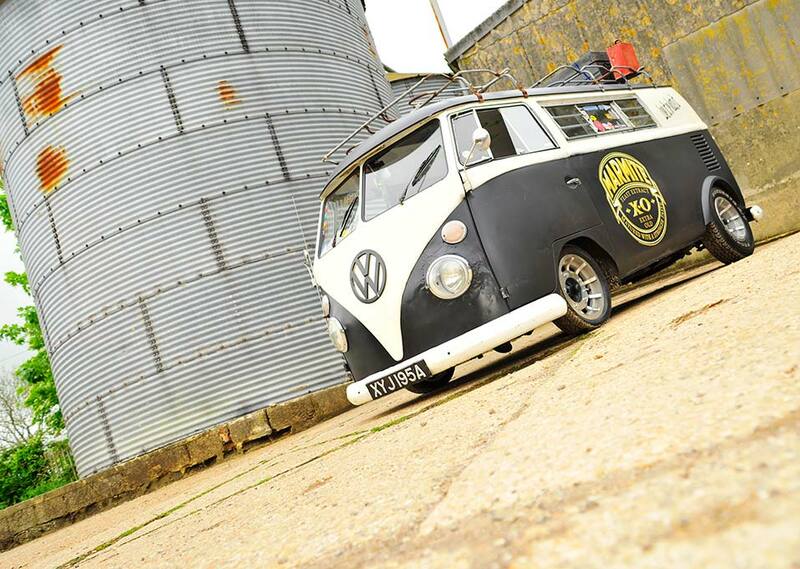 And talking of shows, we have a mini preview on the upcoming DubAid all charity VW event, when we meet one of the organisers and all round party central instigator, Chris ‘Funkmaster Red’ Redford, when we catch up to talk VW scene, tattoos, Baywindow buses and old American metalwork! 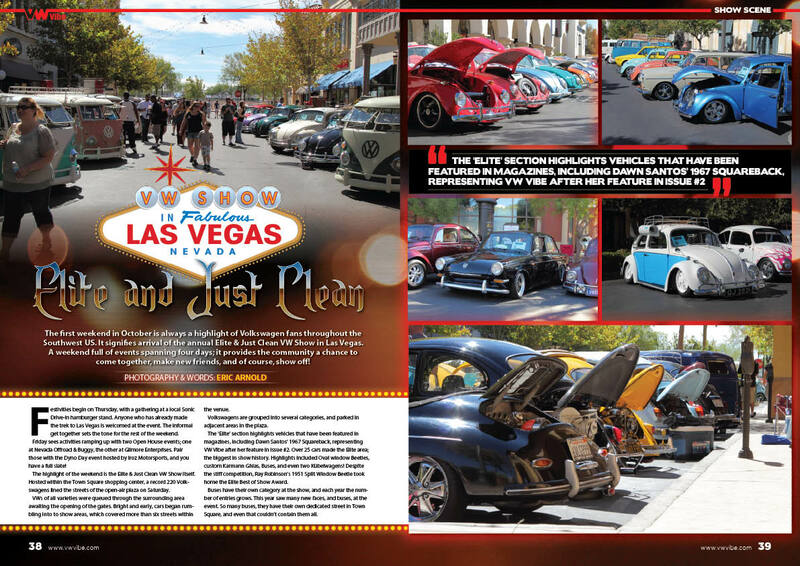 Oh, and you can find the dates for DubAid and a whole lot more, in our Events Listing pages on pg 10 and 11 (note we’ve split them by UK vs. Euro shows for quick ref’)… personally this year, we’re especially looking forward to the VW Vibe sponsored Cruise To the Prom in May… it’s gonna’ be epic! And from shows to show goers, we meet some more characters from the international family of VW owners and lifestyle livers; from a family with a stunning pair of vintage ’62 VW’s (a Beetle and a Bus), before heading over to America to see a truly one-of-a-kind Volks Rod build (and not a hint of ‘Rat Look’ in sight this time) – the sheer work that’s gone into this one is amazing! 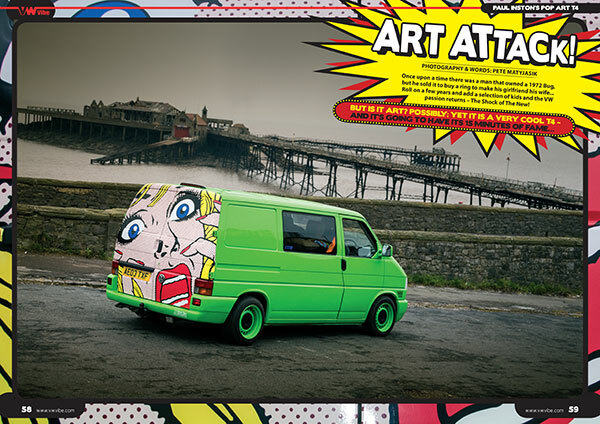 On the water-cooled side meanwhile, we meet another campervan family who do the dub thing to the full; this time in a crazy and fun Roy Lichtenstein Pop Art inspired bright green T4 (this one will indeed make your eyes pop!). 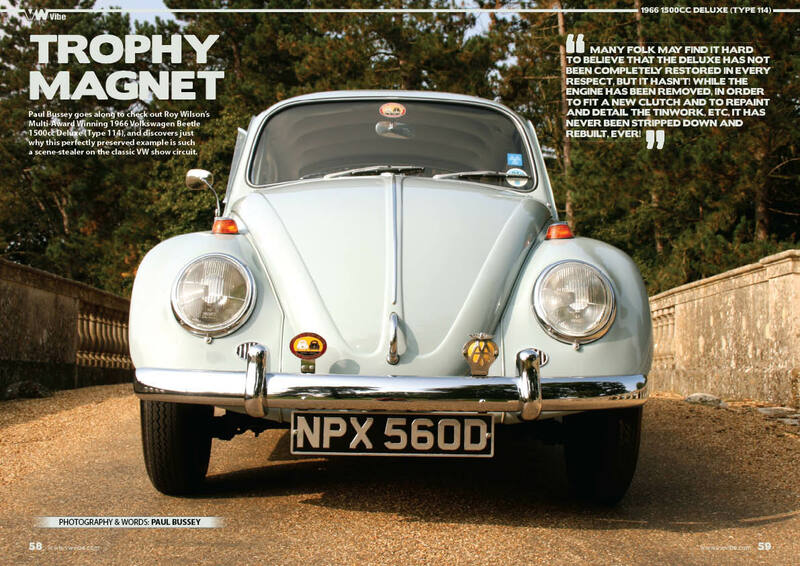 We also meet a seasoned air-cooled owner who’s added to his stable with one of the most fun and cheekiest modern day dubs, in the form of a newbie Beetle with the famous feisty 20v 1.8 Turbo snuggled under that chubby little bonnet. 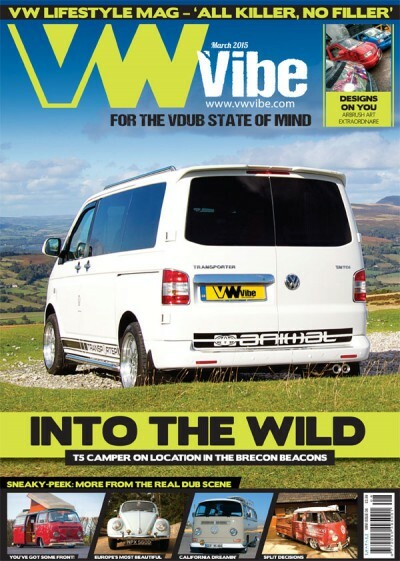 Plus we catch up with our intrepid T3 travellers again, in both Asia and Europe, as well as our usual drop in on our regular columnists to sort some cool listening tunes with the A&R man and another great camping recipe idea from the Tailgate Gourmet… perfect timing as the show season proper arrives! 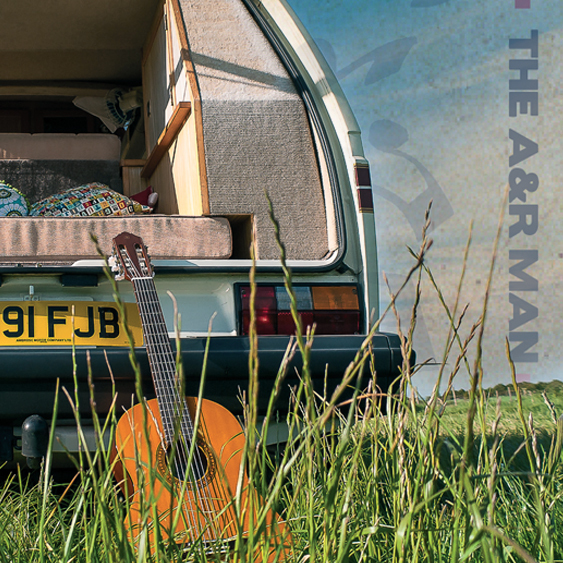 Issue 9 is lookin’ fine! Oh, lord, dog days. We all have them. Days when whatever you try to do goes wrong, all best laid plans are thrown to the wind as fate decides it’s our turn for poking a stick at (and throwing a bag of rocks into the fuel tank). Yup, the breakdown blues hits us all. 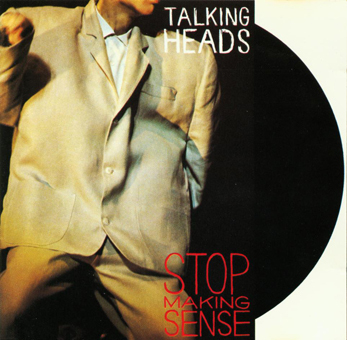 Has ever a record lifted the spirits like Stop Making Sense? David Byrne and his merry band of followers created music that pumps the head full of hope and the heart full of joy. No filler, all (psycho) killer! 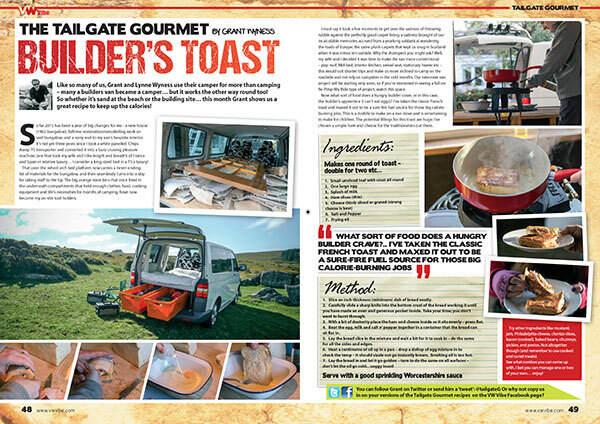 Like so many of us, Grant and Lynne Wyness use their camper for more than camping – many a builders van became a camper… but it works the other way round too! 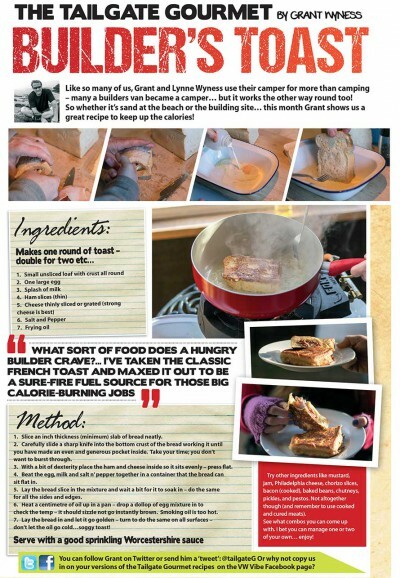 So whether it’s sand at the beach or the building site… this month Grant shows us a great recipe to keep up the calories! Slice an inch thickness (minimum) slab of bread neatly. Carefully slide a sharp knife into the bottom crust of the bread working it until you have made an even and generous pocket inside. Take your time; you don’t want to burst through. With a bit of dexterity place the ham and cheese inside so it sits evenly – press flat. Beat the egg, milk and salt n’ pepper together in a container that the bread can sit flat in. Lay the bread slice in the mixture and wait a bit for it to soak in – do the same for all the sides and edges. 6. 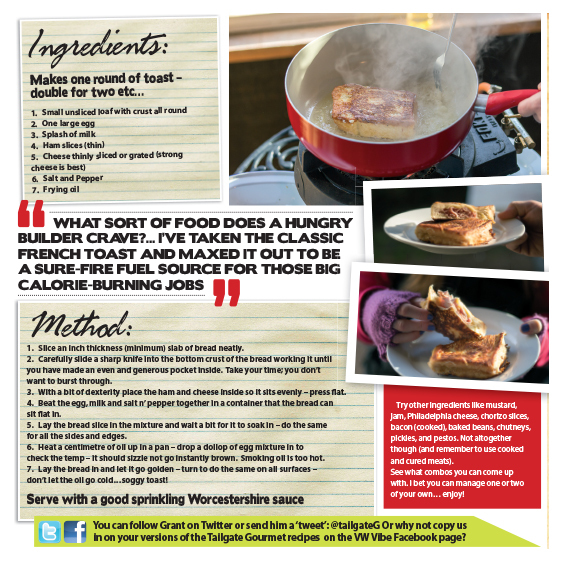 Heat a centimetre of oil up in a pan – drop a dollop of egg mixture in to check the temp – it should sizzle not go instantly brown. Smoking oil is too hot. Lay the bread in and let it go golden – turn to do the same on all surfaces – don’t let the oil go cold…soggy toast! Try other ingredients like mustard, jam, Philadelphia cheese, chorizo slices, bacon (cooked), baked beans, chutneys, pickles, and pestos. 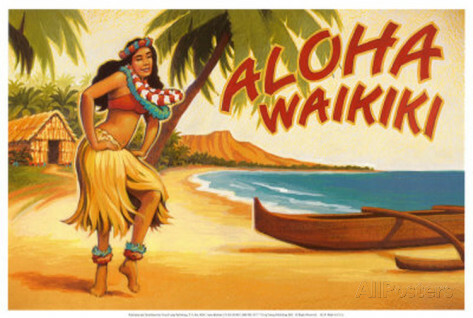 Not altogether though (and remember to use cooked and cured meats). See what combos you can come up with. I bet you can manage one or two of your own… enjoy! 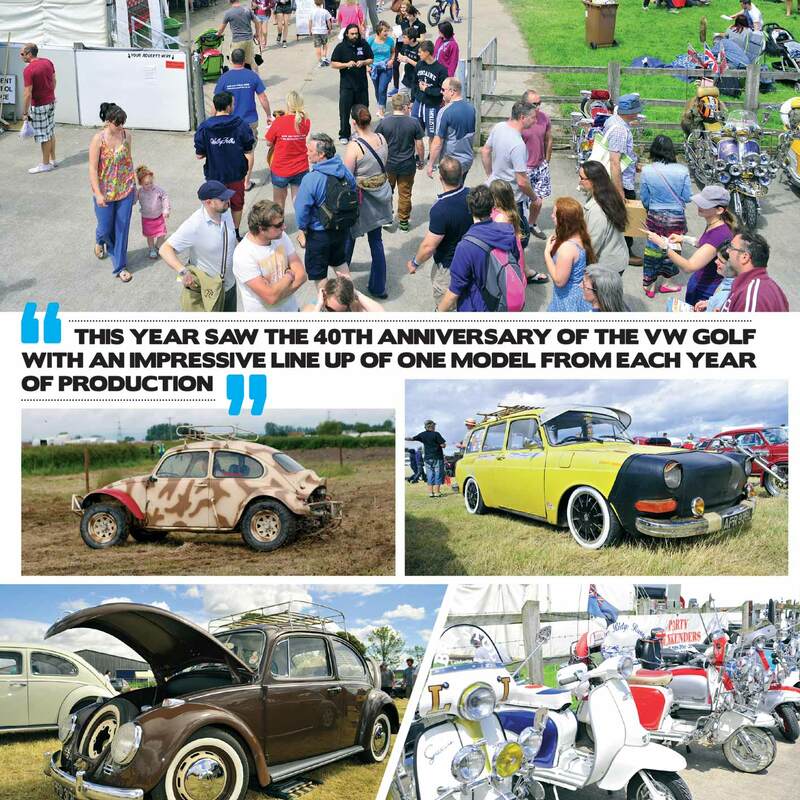 We take a fond retrospective looking back at one of last season’s real belters, Bristol Volksfest! 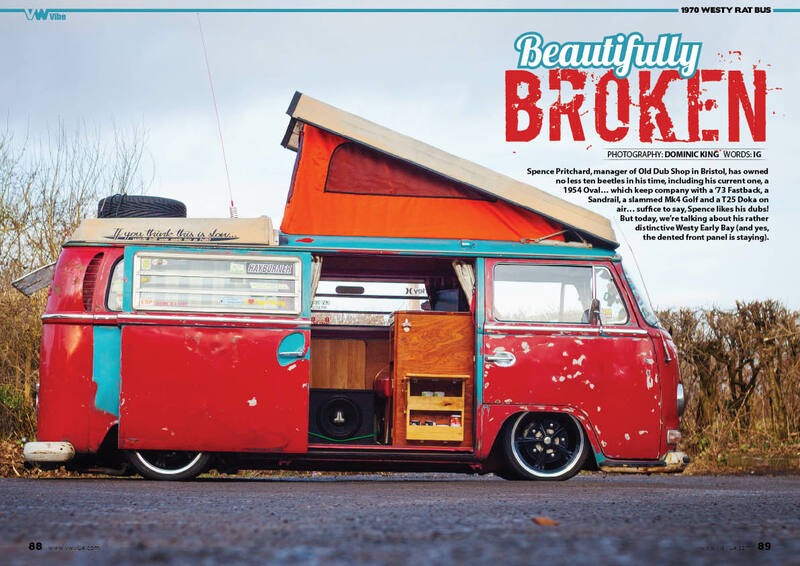 From small beginnings this key dub show has grown to epic proportions! 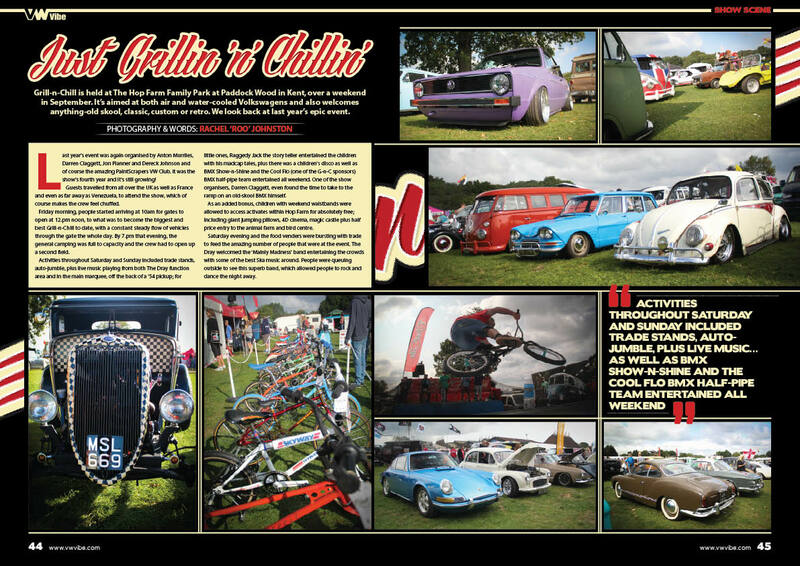 Grill-n-Chill in Kent is aimed at both air and water-cooled Volkswagens and also welcomes anything old-skool, classic, custom or retro. 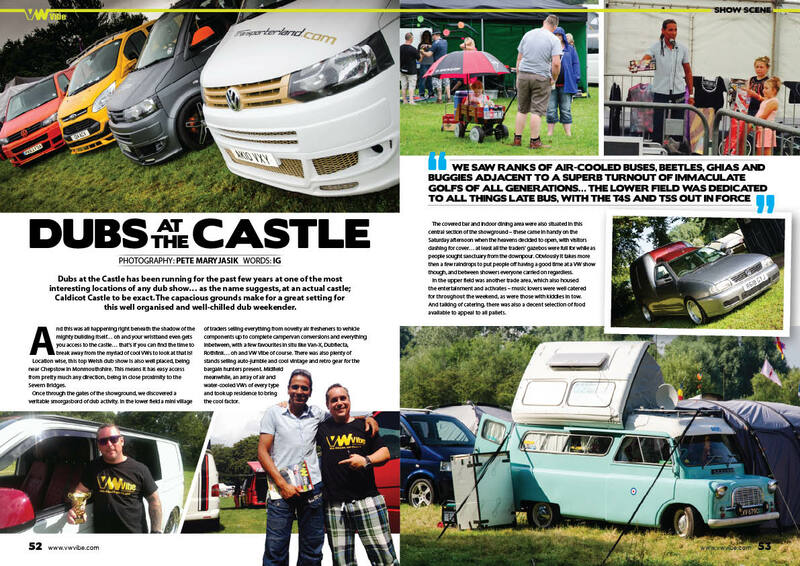 Dubs at the Castle runs at one of the coolest locations of any dub show… at an actual castle; a great setting for this well-chilled dub weekender. 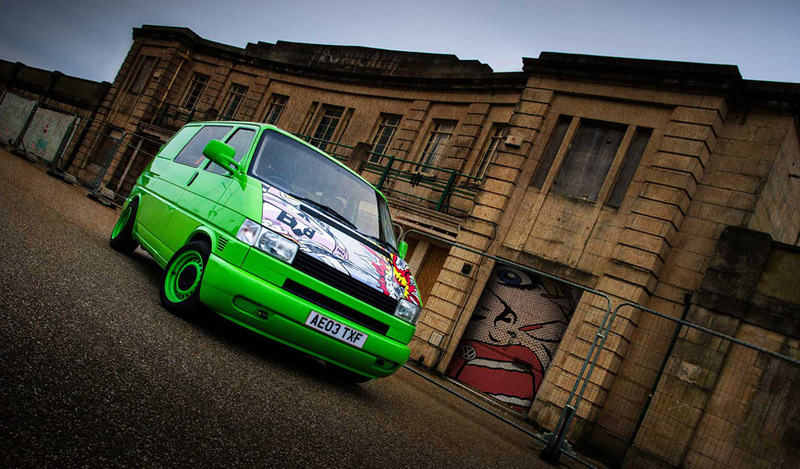 DubFreeze is held at Bingley Hall near Stafford. 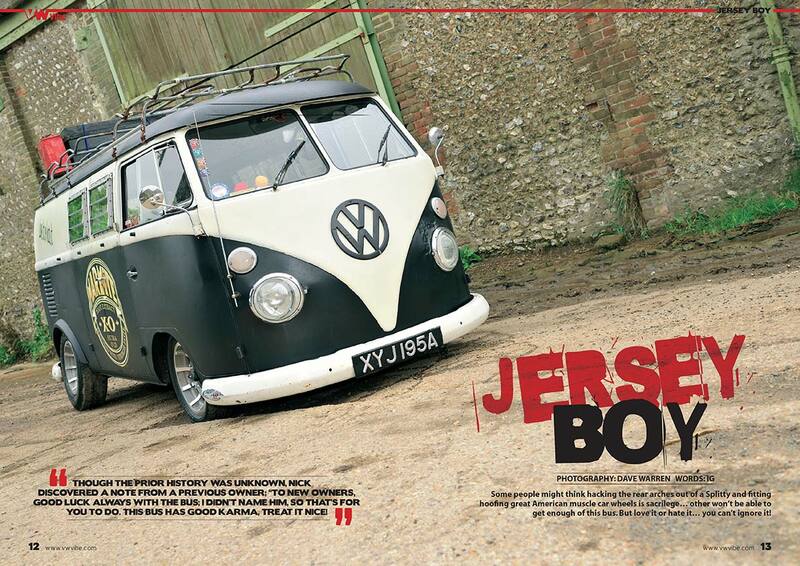 One of the best established in the UK, the show is now in its 26th year and is a brilliant starter to the UK show season. 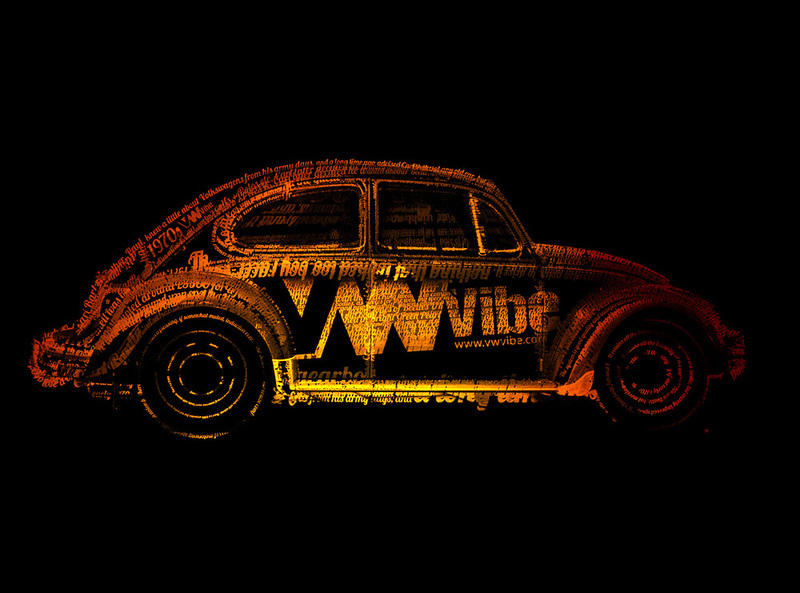 So we’re talking about VW inspired art at the moment… this one is just too cool not to share! JARRYN DOWER ART & DESIGN. 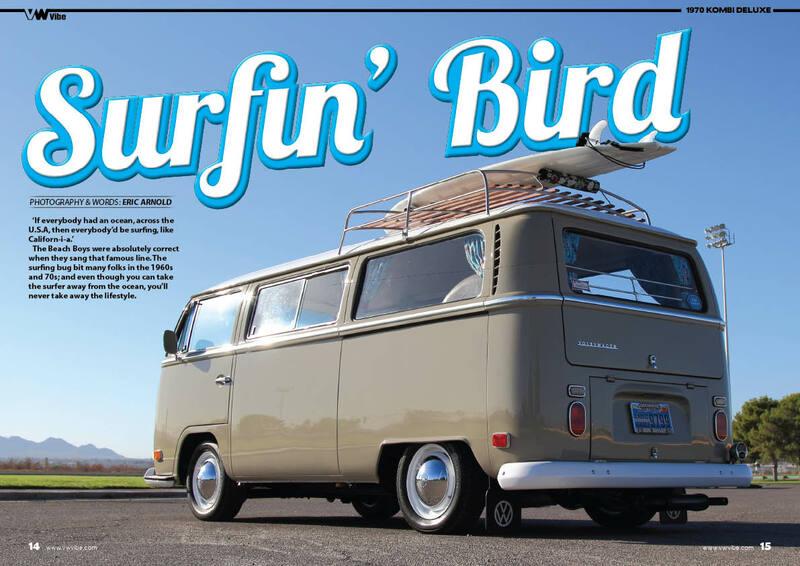 Time lapse video of my latest surfboard art, featuring the interior view from a split screen VW Kombi looking out over the surf. Artwork was done using a stippling technique with Posca pens. The duration of the project was a 2 and a half month period, beginning in December 2014, and finally completed in late February 2015. The total length of footage used for this clip tallied in at 61 hours, that was AFTER editing! Filming was done with an iPhone 5s, using a time lapse app called OSnap! Photos were set to 10 second intervals, then once collated, exported into video. More than 22,000 photos were taken in the making! Final editing and production was done with iMovie. 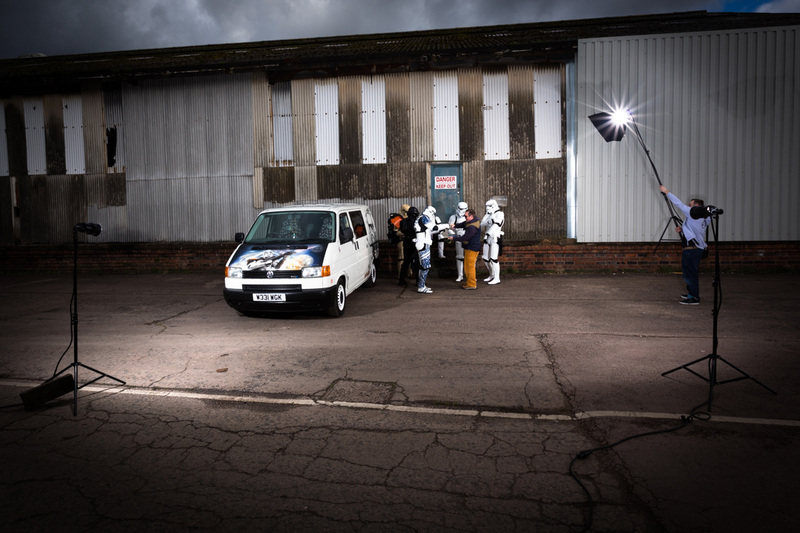 Coming next month we have a T4 from a galaxy not too far away! 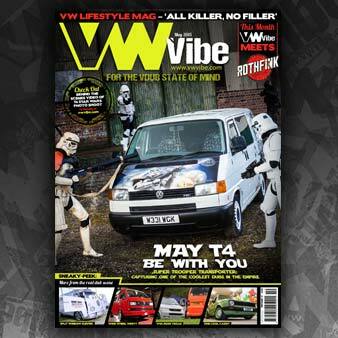 Check out Issue 10 in the shops on 20th April 2015. VW Vibe Magazine - Published by Traplet Publications Ltd.